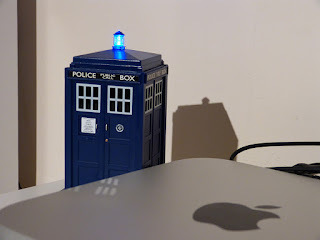 It's difficult to keep track of time when it's so wibbly wobbly-like, but as such things are conventionally reckoned I am a relative newcomer to the grand British tradition of Doctor Who. That said, though I jumped right in to the middle of Series 6 of the revived version I wasted no time (hah) and am now fully caught up and anxiously awaiting the Series 7 finale this Saturday. So what does this all mean, anyway? 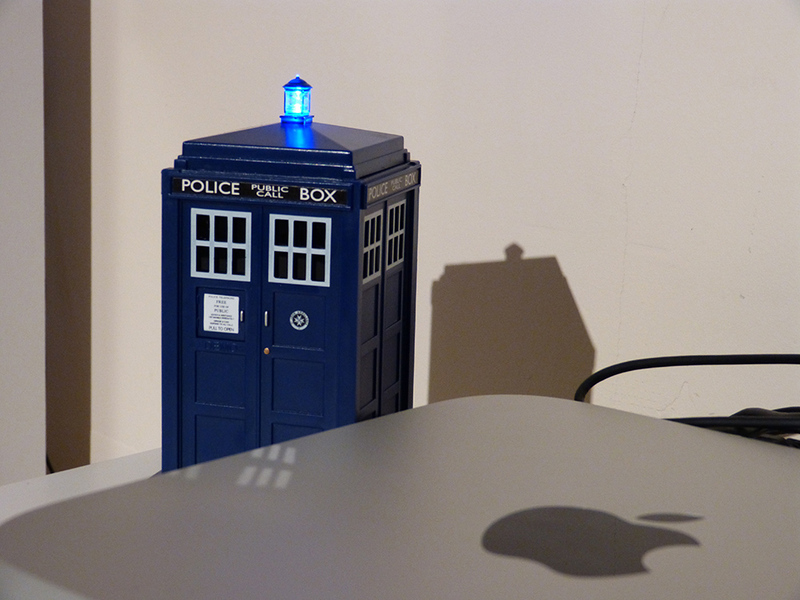 Well, the ENTIRE idea OF Doctor Who has gotten into my head. I also feel that I must impart that my approach to the entire franchise is from a decidedly Anglophilic place rather than one of geekery - whatever that means anymore. And we all know what happens when things get stuck in my head, don't we? They say you never forget your first Doctor and they are so, SO, right. 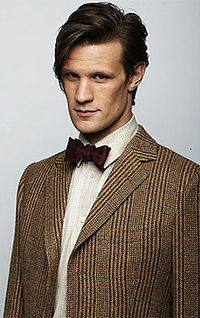 Continuing in the Timey-Wimey tradition, the Eleventh Doctor - portrayed by the brilliant Matt Smith - was my first. He remained strongly so even as I tagged along following the exploits of the Ninth and the Tenth. The Ninth wasn't around long enough, and the Tenth was a little too lovestruck for me. * Whereas the ELEVENTH, now..! It was really only a matter of time (again, hah,) before Doctor Who mittens*** happened. Here's the first ones. Oh look, they've got bow ties on - because bow ties are cool. Allow me to introduce my newest mittens - the first(!) 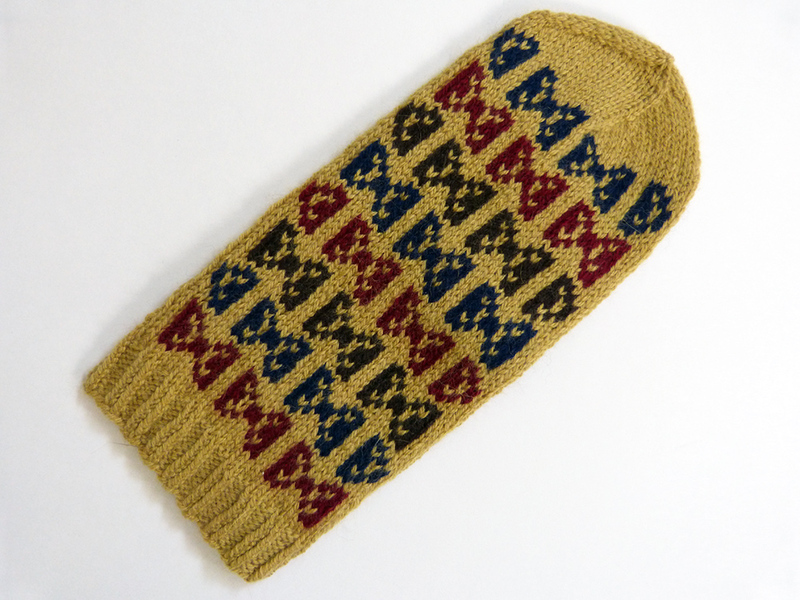 of my Doctor Who themed patterns - called Bow Tie Mittens are Cool. You can grab your own copy here on Ravelry and here in my Etsy Shop. Care for some details? Everyone's favourite time traveller just wouldn't be the same without his iconic neckwear. Capture a little of that timey wimey magic with these mitts festooned with bow ties in classic, masculine colours - the same as those worn by the Doctor himself. 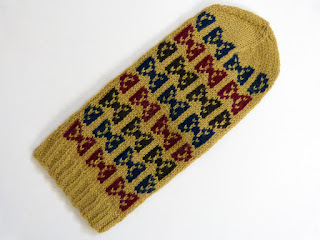 Instructions are included in the pattern to produce both mittens and fingerless mitts. Never knit colourwork before? 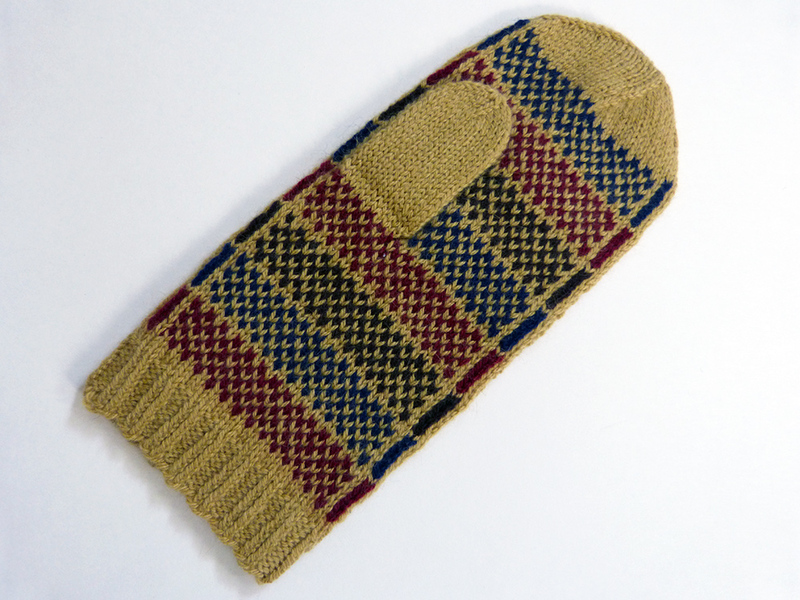 Since these mittens only use one contrast colour at a time these ones would be a great place to start! Know a Time Lord or Companion with larger hands? These mitts are easily sized up by going up in yarn weight and needle size. Please note that in this case additional yardage may be required! * I was fully expecting to be swept away by David Tennant's brooding Scottish glare, and while this DID happen, he just never seemed all that Time Lordy to me. I just kept seeing a pretty Scottish dude with dark, shiny eyes. ** Yes, I know you like David Tennant better. He is very pretty. May 17, 2013 at 1:19 a.m.
As a Brit, Tom Baker was my first. Oh my, what a voice! But out of the new ones Matt Smith wins hands down. Agree with your analysis of his mercurial nature being so ver appealing. He captures the essence of someone perpetually searching for new and exciting in a Universe that he knows inside out. Great pattern by the way, because as we all know, Bow Ties are extremely cool. May 17, 2013 at 3:17 a.m. I'm off to buy some lovely bowtie mittens! May 17, 2013 at 8:31 a.m. These are AWESOME! I'm still catching up and haven't made it to Matt Smith yet (having trouble letting go of DT.) I adore these mittens and can't wait to see more! May 17, 2013 at 12:49 p.m.
September 9, 2014 at 1:07 p.m.